Pervez and Willy Mutabazi lead the hip hop dance party! 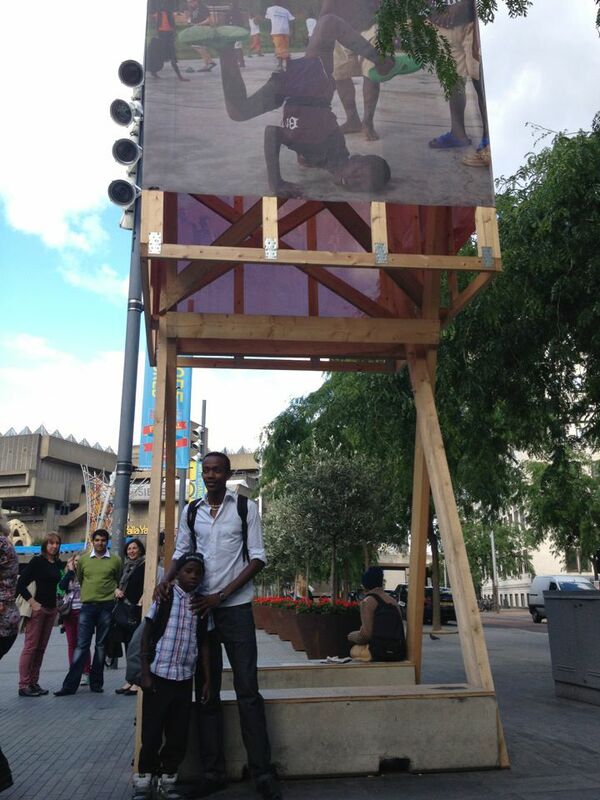 What a wonderful evening yesterday at the Southbank Centre for Africa Utopia! We presented Bret Syfert’s film Yes, Man! 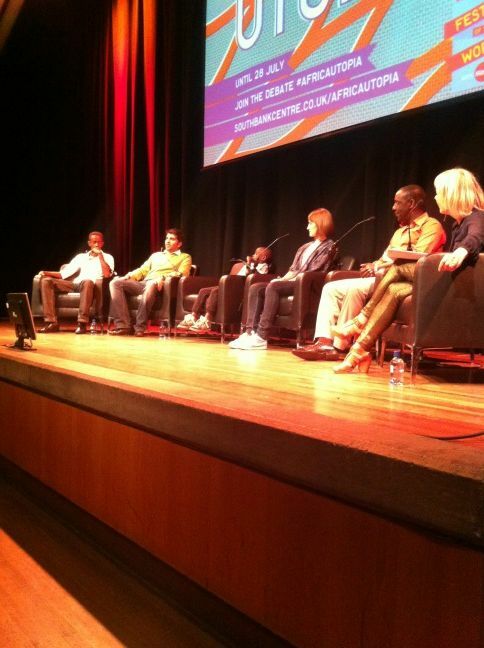 and then Jude Kelly, artistic director of the Southbank, chaired a panel discussion with Rafiki Callixte (project manager, Les Enfants de Dieu), former street children and dancers Willy Mutabazi (aged 19) and Didier (10), Faraz Ramji (founder of Les Enfants) and Kate Scanlan (one of Catalyst Rwanda’s founders and project directors). The project seemed to go down wonderfully with a warm, responsive audience. Willy and Rafiki were both particularly articulate about the role and value of hip hop within Les Enfants de Dieu‘s child-centered approach to rehabilitation and reintegration. Willy is a remarkable young man, a former street child (four years on the street), he is now – after four years at the centre – reunited and living with his mother, looking after her as she is ill, as well as being a high school student, DJ and hip hop dancer. He is a passionate advocate for street children’s rights and is making his first film, with Bret Syfert, about the harsh reality of the Rwandan street child’s life. Rafiki, a genocide survivor who now devotes his life to working with vulnerable young people in Rwanda, discussed how he implemented a radically innovative system of governance at Les Enfants that puts the young people themselves (through a number of ‘ministers’ who are the boys themselves elected by the other boys) in charge the finances and how the centre is managed, and explained how this restores the boys’ self-respect as well as teaching them responsibility, decision-making and how to follow through on decisions. 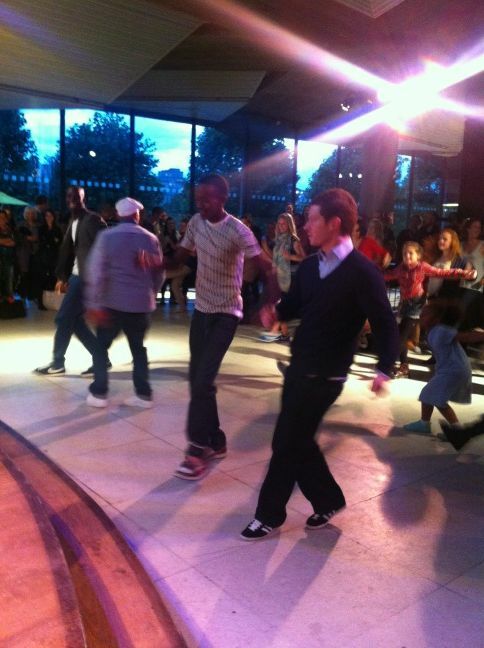 After the panel, we had a fantastic hip hop dance party in the Queen Elizabeth Hall foyer, loads of people dancing led by Bboy Pervez and the athletic Willy Mutabazi, with DJ Billy Biznizz on the decks!! The right way to finish the evening – a practical demonstration of how hip hop brings people together and brings out their smiles. This entry was posted in Uncategorized and tagged breaking, Catalyst Rwanda, film, hip hop, Live 2 Break, London, music, Pervez, Rwanda, Southbank Centre, street children. Bookmark the permalink.